Imhotep. The legendary architect of the Egyptian monuments. His awe-inspiring structures and brutal tactics earned him divine status among ancient Egyptians. Can you match his ruthless determination to build the most revered monuments? To do this, you will need to transport stone blocks on ships from your quarry to different construction sites. But you alone do not choose where the ships go. Your opponents have monumental plans of their own and want to prevent your success. A fierce competition for the precious stone resources plays out. Only with the right strategy and a little luck can you succeed. 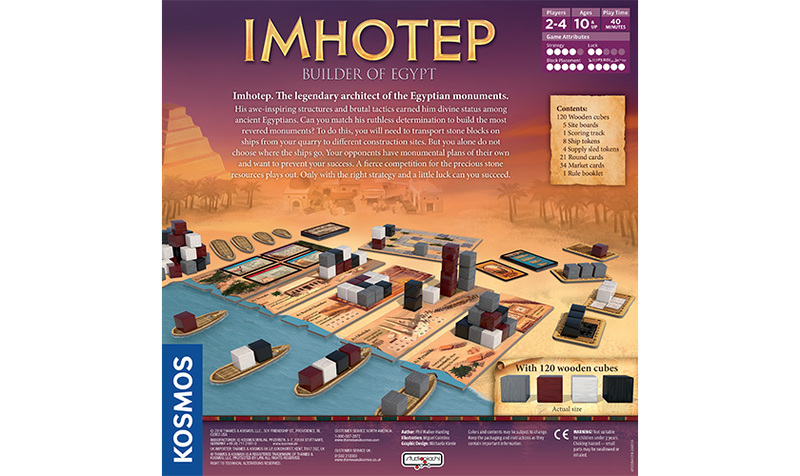 In Imhotep, the players take on the roles of ancient Egyptian architects. Over six rounds, they try to transport their stone blocks to end up in the most valuable positions at five construction sites: pyramid, obelisk, chamber tomb, temple, and market. 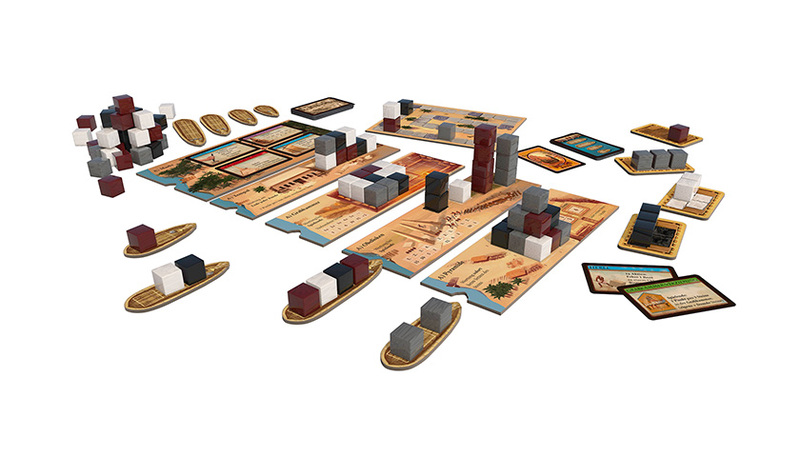 But a player can only choose one of three actions in a turn: excavate a new stone block from the quarry, load a block onto a ship, or move a ship to a construction site. From there, the massive stone blocks must be unloaded in order from bow to stern and placed on the sites in preset sequences. Depending on where the blocks end up, players earn different point values either immediately or at the end of the game. In each turn, you must weigh your options for getting your own stones into place and thwarting your opponents’ placement plans. You must get your blocks to the right places, in the right order, at the right time to be the greatest architect. 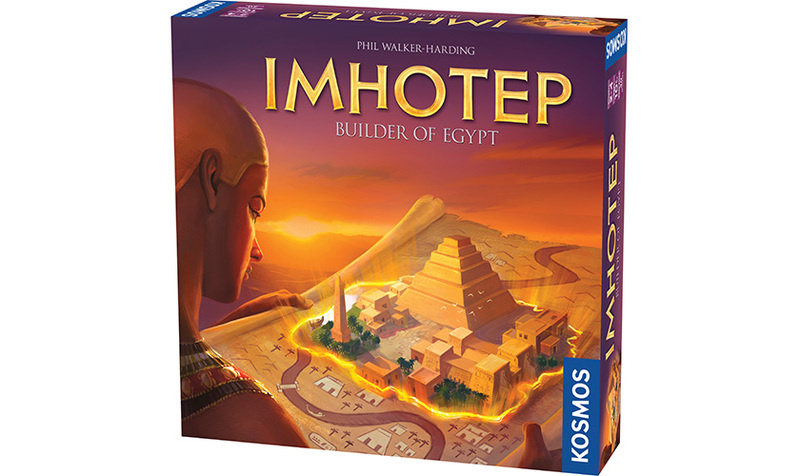 Imhotep is available on the Kosmos Helper App!